It is impossible to deny the effect social media has on our world. People young and old are flocking to Twitter, Facebook and other sites to share ideas, stories, pictures, videos and to simply keep in touch with one another. And it’s not just individuals that make use social media; businesses are also taking advantage of this massive, emerging market to help them connect with their customers and to target potential new clients as well. Considering that Facebook alone has nearly 1.25 billion active users every month, the potential that social media marketing has for branding and increasing people’s awareness of your company or the services you provide is obvious. This is especially true as these social media platforms begin to look towards monetization and now offer a number of paid advertising options that allow you to pinpoint your target market and focus your social media marketing efforts directly on them. Simply put, social media marketing is fast becoming one of the most effective advertising tools in your arsenal—provided you know how to use it properly to get the most out of it. That’s where uluad comes in. Unlike other advertising agencies, our team of professional social media marketing professionals stay on top of the latest Web trends and we can make sure you get your message across to as many people as possible. uluad’s main focus for online advertising has always been Google AdWords and other search advertising tools, for the simple fact that this remains far and away the most effective tool because it allows you to target your ads to people searching for terms directly related to your company. But we understand this strategy isn’t necessarily the best one in every situation, and that some of our clients would be better served by social media advertising, or a combination of the two. When it comes to social media marketing, our team believes that the more active your company is, the more successful you will be at branding your business and generating interest. This is why our social media managers don’t just focus on taking care of your Facebook newsfeed like the other advertising agencies. We also offer full service strategies that take advantage of all the tools at our disposal. For instance, promoted Twitter advertising can be an incredibly effective marketing strategy, since these paid Tweets not only reach a much wider audience than standard Tweets, but they can also be targeted. Even if you don’t have many Twitter followers yet, you can still ensure your promoted Twitter ads reach the people who might be interested by targeting them based on gender, age, interests, keywords and geography (and that’s incredibly useful considering the major switch to localized online marketing that is currently taking place). We will help you take care of your Facebook profile and work with you to develop a strategy for targeting specific groups with your message, and we’ll make sure your ads are seen in as many Facebook newsfeeds as possible. In the past, if a person liked your company on Facebook, there was a very good chance they would see at least some of your posts. Now, with the advent of paid Facebook advertising, your organic posts may be seen by as few as 1% of your followers. 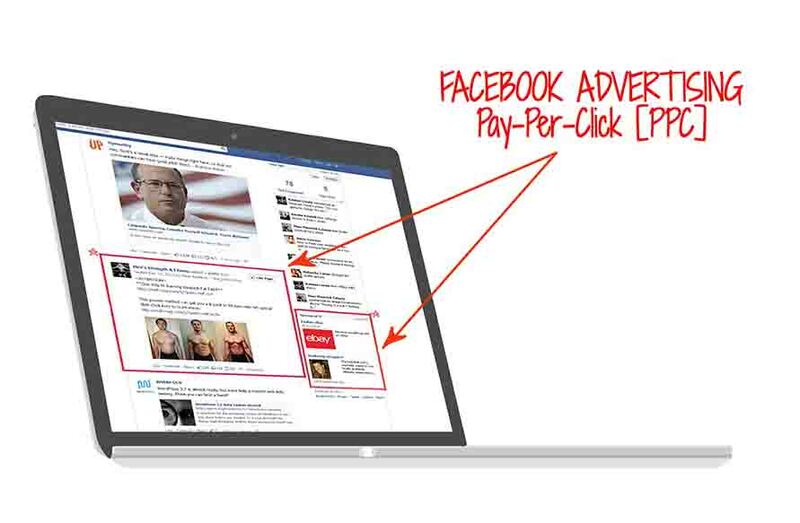 Your paid ads, however, can reach thousands of users. At uluad, we also understand the value of video advertising, which is why we work closely with our clients to incorporate YouTube into their social marketing strategies. As the world’s most used video sharing site, reaching even a fraction of YouTube’s daily users can go a long way to generating interest and driving traffic to your site. Our team of professionals is highly adept at video advertising, so you can be assured that we can put this tool to its most effective use as well. Are you on Pinterest yet? This may be the social media site you are least familiar with. Similar to Facebook likes, Pinterest users like or “pin” certain articles, items and services that they enjoy and share them with their friends. But the real benefit of Pinterest advertising is that it really blurs the lines between ads and natural content, effectively allowing you to make an extremely subtle sales pitch. Better still, because Pinterest is still growing, there isn’t nearly as much competition. That makes it easier (and possibly cheaper) for you to make sure your message is seen. At the end of the day, effective social media marketing can be one of the best advertising tools around—especially if you’re trying to target certain groups or niche markets. You need a company like uluad, with the skills and experience in social media advertising, to make sure you get the most out of it. Contact us today and find out what our team can do for you.